You can get here by car or by train. 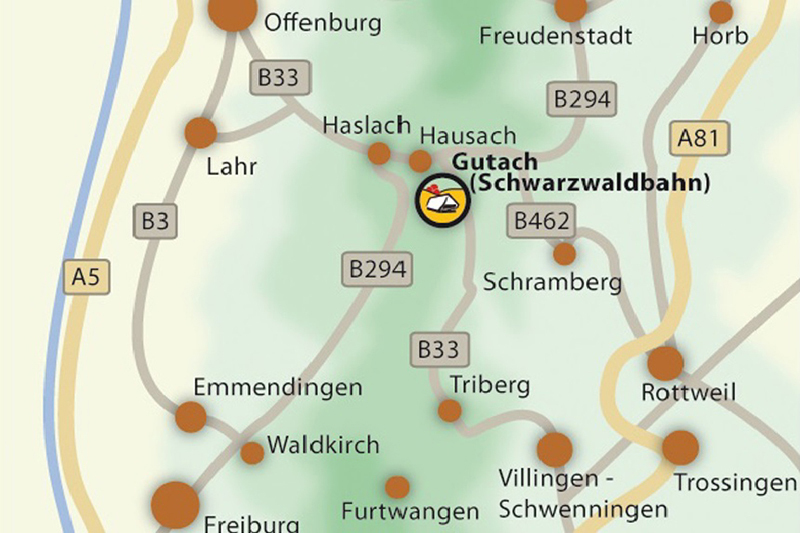 The museum is located on the road B33 between Hausach and Gutach. From the A5, exit Offenburg, direction Villingen-Schwenningen B33. From the A81, exit Rottweil, direction Offenburg B462/B294. 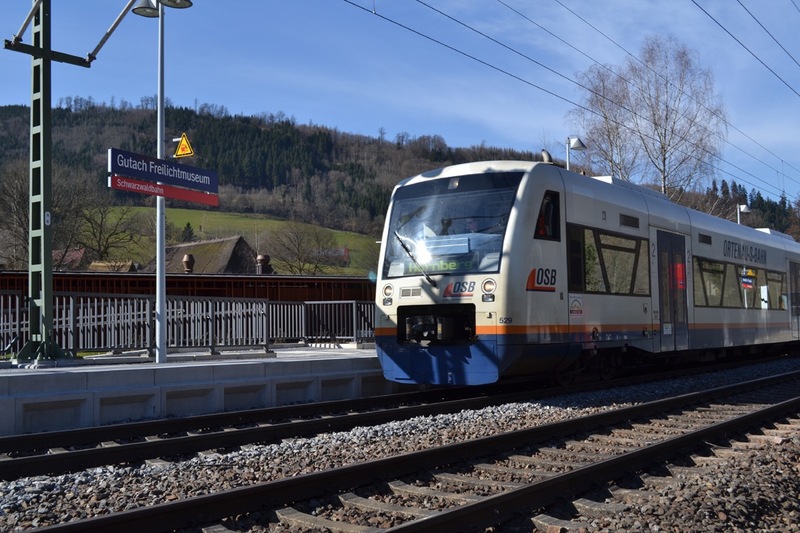 (Schwarzwaldbahn, Attention: NOT Gutach im Breisgau) B294/B33. ATTENTION: Not „Gutach im Breisgau“! It is „Gutach/Schwarzwaldbahn“! The car park is directly next to the B33. There are also sufficient numbers of bus parking bays. Please follow the signs to our big car park for visitors. Information for motorcyclists: At the entrance you can lock your clothes and your helmet. The Open Air Museum Vogtsbauernhof has its own stop right in front of the entrance hall. The train ("Ortenau S-Bahn") stops at “Gutach Freilichtmuseum” once every hour during museum hours and during christmas market. Please note: You need to change in Hausach for the Hornberg train. The travel information on www.ortenau-s-bahn.de always gives the quickest connection. If the bus leaves earlier than the train, only the bus connection is shown. In order to see all connections, enter from “Hausach Bahnhof” to "Gutach Freilichtmuseum". The Schwarzwaldbahn Offenburg - Konstanz (train line from Offenburg to Constance) stops at Hausach, where you can change to the local Ortenau train. There is also a train from Hornberg to the Open Air Museum. In Hausach you can also to change to a public transport bus. Buses run by RVS (Südwestbus) go to Gutach/ Schwarzwaldbahn. The nearest stop is “Vogtsbauernhof”. During the Open Air Museum’s main season, the Deutsche Bahn (German rail) will stop on demand for groups of 15 to 30 people. This option is available on a daily basis and enables groups to travel with the Schwarzwaldbahn directly to and from the museum’s nearest stop, “Gutach Freilichtmuseum”. All information and the booking form can be found here. We recommend the Baden-Württemberg ticket if you plan to come by train. Valid on all regional and local trains, trams and most public transport buses in Baden-Württemberg. For more information see www.bahn.de/bwt.